I bet you didn't think I'd lead off with an over! While both of these teams rank well statistically against the pass (Detroit is 4th, Dallas 12th), I'm not convinced either team has a good secondary. Detroit has faced three passing-anemic teams (TB, KC, Minn). Dallas hasn't faced much better, going up against NYJ (though they let Sanchez post some big numbers), SF, and Washington. Both of these teams have very good quarterbacks, with Dallas ranked 3rd in passing offense, and Detroit tied for 4th. I'm fully expecting a shootout in this game and I think it'll be an easy over. Both of these secondaries are league-average at best, in my opinion. Dallas may be down Miles Austin, but they'll still be able to move the ball with Witten, Dez, and the rest. Detroit's 23 points were a season-low last week, but keep in mind they scored all 23 in the second half. That offense is explosive. Take this over with confidence. The offensive ineptitude of the Jaguars is staggering. Despite the fact that MJD is on pace for his best season in 5 years, they can't score any points. McCown has already been benched and Gabbert couldn't get anything done against the Panthers. Compare that to the Saints offense, who've scored 30+ points in each game so far, (though one TD in week 1 was a punt return), and I don't see how Jacksonville stays within 7. They've yet to top the 16 points they put up in week 1. The Saints may have cut it close against Houston, and Houston may have made their defense look less than imposing, but Houston actually has a decent offense. The Jaguars are getting good and cozy down in that cellar and I don't think they're coming out anytime soon. I can't stay away. I probably bet against Seattle more than any other team, but I'm patting myself on the back for avoiding them last week, since they actually managed to cover a game. I'm not willing to give up on Atlanta for some reason, either. Maybe playing in a dome will help them this week. The Falcons o-line has been struggling to protect Matt Ryan, but Seattle is ranked in the bottom half of the NFL with 5 total sacks through the first 3 games (5-way tie for 23rd). The Seahawks defense is performing above expectations, but the offense has been dismal, scoring 17, 0, and 13 so far this year. The Falcons may be 1-2, but they've lost to good teams in Chicago and Tampa Bay. Coming back to beat Philly was a noteworthy achievement as well. They may have burned me last week, but I've got to stick with the more talented team here. They can definitely win by more than 4. I mentioned briefly in my lead-in last week that I thought the Raiders had a shot to go to 3-0 ATS against the Jets and they won outright. New York was gashed for 234 yards on the ground, the most ever during the Rex Ryan era. Mark Sanchez still looks like Mark Sanchez, and for those that don't know, Mark Sanchez does not look like a good QB. Baltimore really laid an egg against Tennessee, but they've won easily against Pittsburgh and St. Louis. With Nick Mangold (C) still likely to be out this week, it's hard to see the Jets ground game improving. The offense isn't built to throw the ball as much as they have in their past two games, and it's shown. With the Ravens experiencing success on both sides of the ball, I can't pass them up to win by a field goal. The Jets D will have to save the day for the Jets to cover, but after Oakland laid down the blueprint last week, I'm looking for the Ravens to exploit the same weaknesses. Despite this being the high over of the week, I like it. The totals in the first 3 Patriots games have all been over 54. The Raiders-Jets game went over 54 last week as well, and that was in a game where Oakland ran for over 200 yards. Neither defense is playing well... New England's is obviously bad and while the Raiders haven't been quite as terrible, they did give up 350+ passing yards to Sanchez last week. It's not unrealistic whatsoever to think Brady can approach or exceed 400 yards again. Furthermore, Bill Belichick isn't exactly the most conservative coach when he has a lead, which always makes it easier to bet on the overs in Pats games... The Patriots usually don't take their foot off the gas until the game is well into the 4th quarter. Again, I actually think Oakland has a shot of pulling the upset, but I don't feel like tempting fate and picking them this week. The over seems much safer to me. Why not? The Bills are on top of the world after toppling the Patriots, but a lot of people are calling this a trap game. Buffalo is definitely over-achieving right now, so I understand the sentiment and growing fear that they're going to drop a game; they will, eventually. I just don't think the Bengals are going to be the team to knock the Bills from the ranks of the undefeated. The offensive discrepancy is huge... The Bills are 3rd overall through 3 games, while the Bengals are 25th. The discrepancy in defensive rankings is almost the exact opposite, with the Bengals 3rd and Bills 26th, but I'm not buying the Bengals D... They've faced Denver, Cleveland, and SF. Buffalo is an offensive juggernaut by comparison. Cincinnati took some hits in free agency, biggest loss being CB Jonathan Joseph, and Buffalo will exploit that. The passing game is on fire right now. It may be hard to envision the Bills at 4-0, but I think they'll last one more week without losing, so I'm willing to give a field goal. Pittsburgh -11 over Indy: Well what the heck was that, Pittsburgh? Like I said earlier, the offensive line was plenty banged up last year and they were fine. Monday's performance is definitely concerning, and going on the road to Houston is a good reason to lay off and see if they pull themselves together. Or you can bet Houston, if you're feeling adventurous. San Diego -14 over KC: I have to admit, I was somewhat concerned about the San Diego choke factor for this spread, but KC played so poorly the first two weeks I though the Chargers might cover. Aside from Ryan Mathews, the offense was miserable. Everyone was off. The Chargers have the reputation of starting slow for a reason. Atlanta 0 over Tampa Bay: I really thought Atlanta was going to win this game, I really did. I was very surprised to see them shut out for the majority of the game. The offensive line lost Harvey Dahl (G) to free agency, but I didn't think they'd be that bad. Matt Ryan is looking a little too much like Jay Cutler, for my taste. Still going to try again on the Falcons this week, though... They can handle Seattle. Right? Tennessee -7 over Denver: Chris Johnson must be getting something close to $100,000 a yard or so at this point. It's mind boggling that he's had such a terrible 3 game stretch and couldn't even get it going against Denver's soft run defense. Combine that with the loss of Kenny Britt, and the Titans all of the sudden look like they're in trouble. On offense, at least. The defense performed well. Baltimore -4 over St. Louis: Well, at least I got one of my top picks. This line blew up to -6 on Sunday morning, so the money knew something. Flacco looked great, the defense looked great, and the Rams looked miserable. The Rams are definitely one of the top 5 most disappointing teams so far this year. Baltimore looks like a pretty good bet to cover against sub-par opponents this year (Tennessee game notwithstanding). San Francisco +2 over Cincy: This was definitely the ugly game of the week, and also the first 13-8 game in NFL history. The Niners defense played well yet again, and the Bengals couldn't do much of anything. The Niners offense still looks like one of the worst in football, but luckily for them, one TD and a couple of field goals were enough. Willis McGahee and Knownshon Moreno haven’t exactly been the 1-2 combination John Fox was hoping for early this season. Moreno hasn’t stayed healthy (again) and McGahee is averaging 2.9 yards-per-carry as the team’s primary back. Moreno returned to practice this week, but he’ll stay in a reserve role according to the Denver Post. 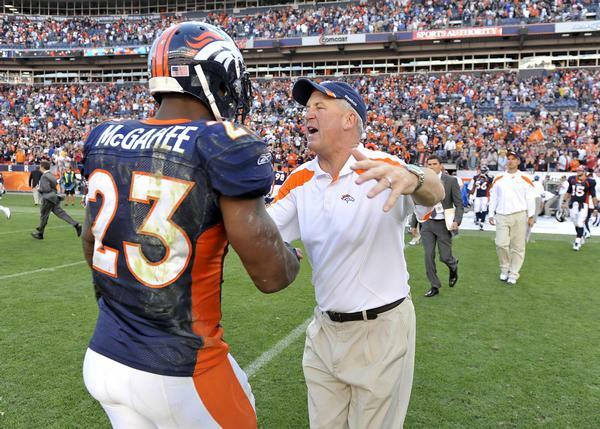 Denver wanted to sign DeAngelo Williams this offseason, but settled for McGahee. The Broncos also hope to get Elvis Dumervil, Champ Bailey, and linebacker D.J. Williams back this week. Three weeks after suffering a broken collarbone, New Orleans Saints wide receiver Marques Colston is expected to return to the lineup this Sunday against the Jacksonville Jaguars, Jeff Duncan of The Times-Picayune reports. "I wouldn't anticipate him getting 50 snaps but he is cleared," head coach Sean Payton said. "He is in the plan." Colston, who has been a limited participant in practice this week, caught six passes for 81 yards in the season-opening loss to the Green Bay Packers. 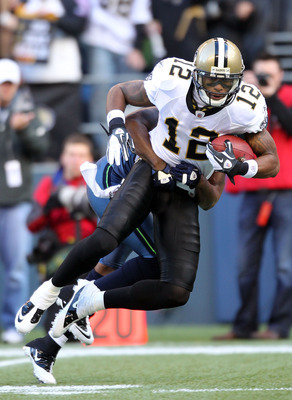 Colston was injured while hauling in a critical 23-yard pass on the team's final drive and was expected to miss about four weeks. The 2006 seventh-round pick out of Hofstra has an incentive to get back on the field: 2011 is the final year of the 28-year-old's contract. There aren’t many reasons to think the Broncos can beat the Packers this week. If Denver fans were looking for some hope, they could turn to the injury report. It looks like Champ Bailey and Elvis Dumervil both are on track to return for the Broncos defense. In Green Bay, it appears likely that running back Ryan Grant and tackle Bryant Bulaga will be out. Grant will get a chance to possibly practice Friday despite his bruised kidneys, but coach Mike McCarthy said he wasn’t expecting Grant to play. Bulaga looks “likely” to be out, according to Tom Silverstein of the Milwaukee Journal-Sentinel. If Dumervil is back, the Packers tackles should have a tough time dealing with Denver’s pass rushers. Rookie Von Miller’s speed will give Green Bay problems. The injury bug has taken another big bite out of Bob Sanders. 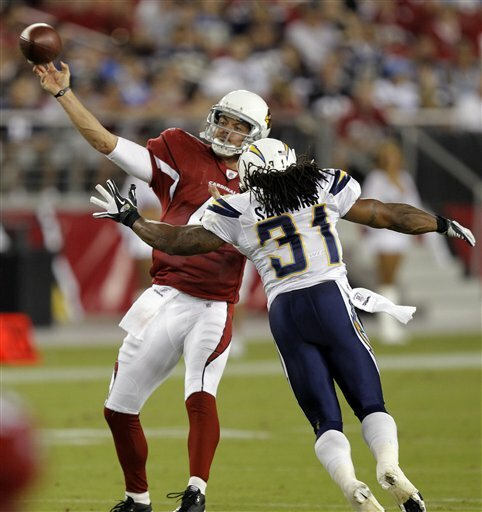 Sanders’ season is over after the Chargers placed him on injured reserve Wednesday, three days after he missed their Week Three win with a knee injury. The early end to Sanders’ season shouldn’t come as much surprise to anyone who has followed Sanders’ career. 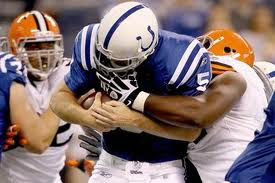 Since winning the Defensive Player of the Year Award for the 2007 season, Sanders has played in just 11 games for the Colts and Chargers as one injury after another has kept him from being on the field reliably. The Chargers were hoping he’d be able to stay healthy enough to help their secondary after he was released by the Colts, but it just wasn’t in the cards for a player who was as good as they get when he was able to be in uniform. When this season comes to an end, Sanders will have played 50 out of a possible 128 regular season games since being drafted out of Iowa. The words what might have been come to mind. 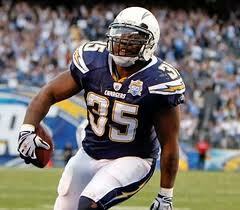 The Chargers will fill his roster spot with another player trying to recapture their former glory. They signed defensive tackle Tommie Harris, who was a Pro Bowler with the Bears. 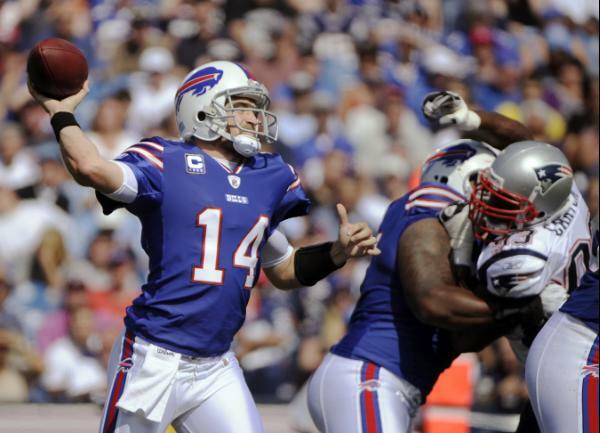 His play slipped significantly over the last two years and he lost his starting job in 2010. Harris was cut by the Colts in training camp and could play relatively quickly for a Chargers team that has been ravaged by injuries on their defensive front. Steve Slaton is out in Houston. According to Howard Balzer via Twitter, the Texans have cut their one-time leading rusher who had fallen off the map, even for a team with injury issus at the position. 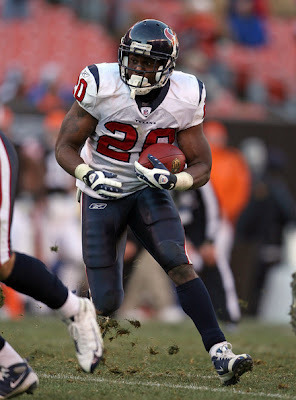 Slaton, a third-round pick from West Virginia, burst onto the scene in 2008, rushing for 1,282 yards for the Texans, but his production quickly dropped, to the point where he had just 93 total yards in 12 games last season and had put up only 20 yards on seven carries in three games this year. The emergence of Arian Foster last year and with the production of Ben Tate this year made Slaton expandable, even with Foster and Derrick Ward missing time with injuries in the early going this season. Last month, former NFL receiver and current ESPN analyst Cris Carter questioned Detroit’s Calvin Johnson, saying he’s not a top-five receiver. Carter later backtracked, and Johnson brushed it off, but Lions quarterback Matthew Stafford hasn’t forgotten. 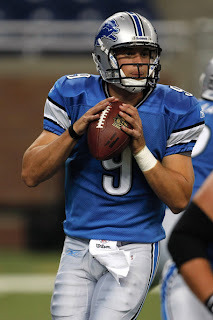 On Twitter today, Stafford noted that Johnson has two touchdowns in all three of the Lions’ games this season, and he asked whether a fourth two-touchdown game against the Cowboys on Sunday might be enough to impress Carter. 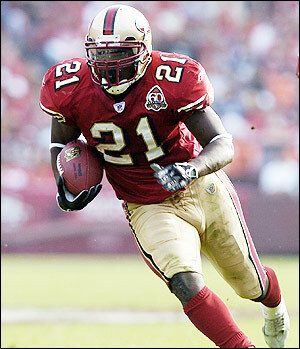 Carter himself owns the all-time NFL record for consecutive two-touchdown games, with four in a row in 1995. If Johnson ties that record on Sunday, one would think Carter would reconsider his opinion that Johnson is only great in video games, not real football. Or maybe Johnson will need to break Carter’s record, with two more two-touchdown games. Typically, Tuesday is the last day of the week on which decisions to suspend or not suspend players are communicated. That’s because the first official day of preparation for the next game starts on Wednesday. 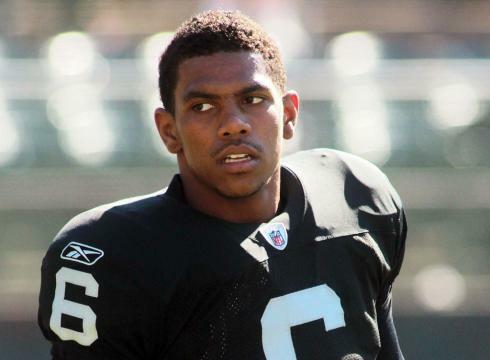 For Raiders quarterback Terrelle Pryor, a source with knowledge of the situation says there has still been no decision on the appeal of his five-game suspension. Which likely means that the suspension won’t be lifted before the fourth game of it. At this point, the only real question is whether Pryor will get any, some, or all of his five game checks. If the suspension is lifted, he’ll make up only one week of practice — and he’ll be able to play in only one of the five games. During the suspension, Pryor is allowed to work out at the team facility. He can’t participate in practice. It’s unclear why it’s taking so long. Given the controversial nature of the NFL’s new approach to delaying the entry of players and coaches who have run afoul of NCAA regulations, if nothing else the decisions should be made on a far more timely basis. Facing a tough week in Philadelphia, the Eagles got some good news. Coach Andy Reid announced at his press conference that quarterback Michael Vick does not have a broken hand, as originally feared. Reid announced Vick as a “hand contusion,” a fancy way of saying it’s bruised. Reid said the swelling needs to be reduced for him to hit the practice field. 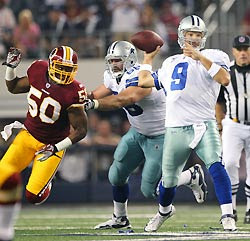 It’s too soon to tell if he will play this coming Sunday against the San Francisco 49ers at Lincoln Financial Field. “We will see how he does over the next couple of days,” Reid said. “We have to get the swelling where it is manageable and he feels comfortable. 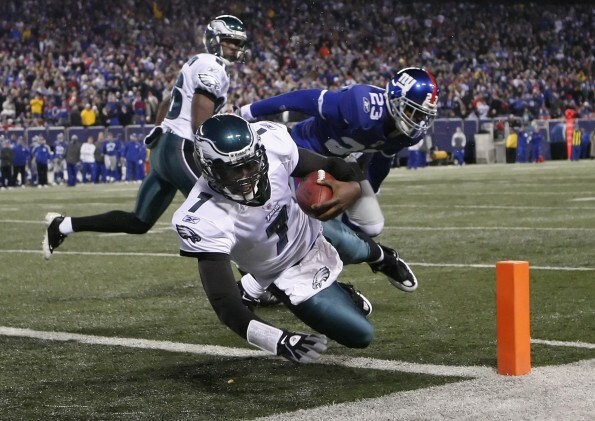 Originally, it was reported Vick could miss three to four weeks with a fractured non-throwing hand. Frank Gore was able to finish Sunday’s game despite an ankle injury, but he’s not sure he’ll play next week. “I can’t tell until tomorrow. See how I’m feeling,” Gore said after the game via Matt Maiocco of CSNBayArea.com. Gore only gained 42 yards on 17 carries against the Bengals and he lost a fumble in the fourth quarter. Gore should be happy he got his contract extension out of the way before the season because now he’s banged up and averaging 2.5 yards-per-carry on the season. Kendall Hunter played for much of the second half ahead of Gore, scoring the game’s only touchdown. The 49ers are 2-1 in large part because of a soft schedule. They get the Eagles next week. 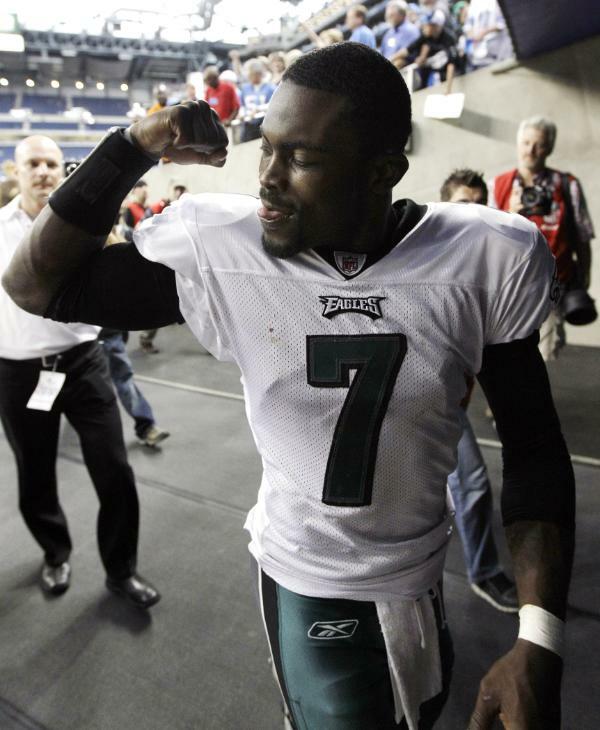 Philadelphia Eagles quarterback Michael Vick has a broken right hand, the club announced on Sunday. 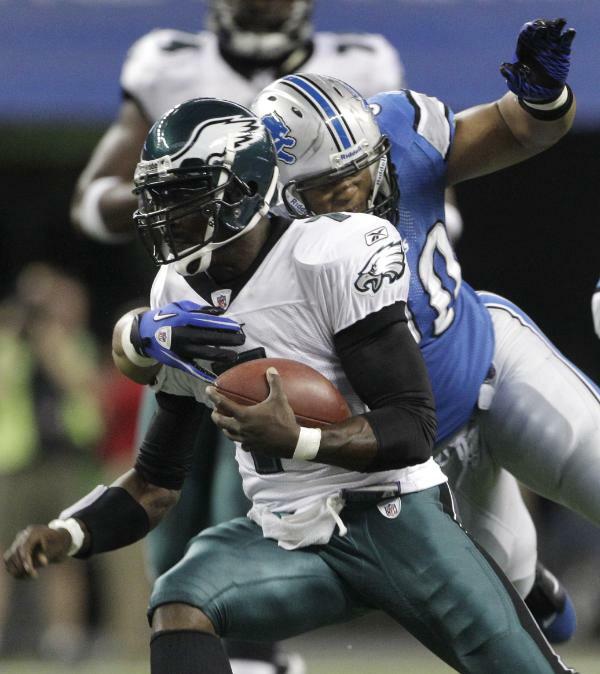 Vick went into the locker room for X-rays during the third quarter, but returned to the field for another series before giving way to second-year quarterback Mike Kafka. Kafka was effective playing in place of a concussed Vick last Sunday night against the Atlanta Falcons, but was intercepted by Giants cornerback Aaron Ross on his first pass attempt on Sunday. Last week woulda/coulda/shoulda been a lot better. There were a couple pretty fluky plays deciding some of these lines, but that's the way it goes. Hopefully next time I'll get a couple of breaks going in my direction. This week is interesting. A lot of the better teams are on the road, so we're seeing some pretty tight spreads, for the most part. With the dust beginning to settle a little, some good teams are beginning to emerge. The always reliable Patriots are off to a 2-0 ATS start, along with popular preseason playoff picks Detroit and Houston. The Raiders are a surprise 2-0 ATS, and actually have a shot to go 3-0 this week. The Bengals round out the list of 2-0 ATS teams, covering twice as an underdog. Every other team has at least one loss or push ATS. It looks like it could be the beginning of another challenging year. Kerry Collins came out of retirement for this? 11 isn't enough. Indianapolis has been awful in these first two weeks. They've yet to play one of the league's elite teams, but that's about to change. 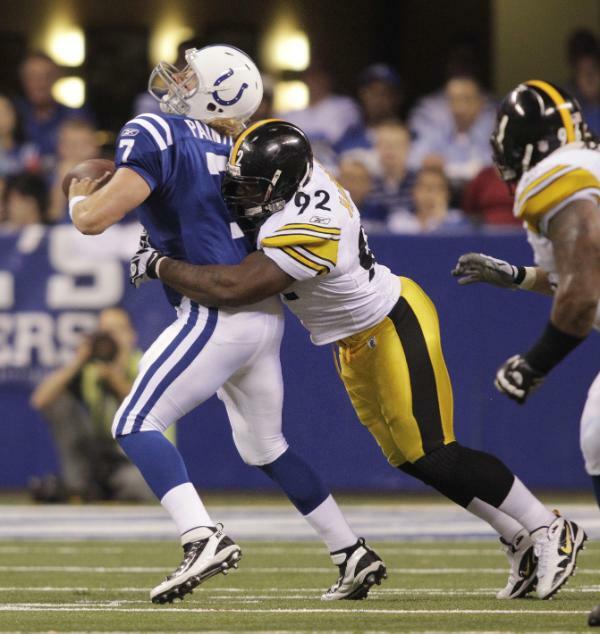 Fresh off a home-opener that featured them shutting out Seattle, the Steelers will get to make a short trip to Indy and have a shot at making it two shutouts in a row. The Colts offense is doomed in this game. I'll be mildly surprised if Kerry Collins makes it through this game in one piece. The Colts offense has done nothing to make me think they'll have any success against the Steelers, and the Colts defense has done nothing to make me think they'll slow the Steelers down. Quite the opposite is true for the Steelers. This seems like an easy one to me. By now, anyone who has read my column more than once knows that I love betting against the NFC West. Last week, all 4 NFC West teams lost straight-up. Against the spread they were 1-2-1, with Arizona the lone cover in their loss to the Redskins. The Niners blew a lead and were lucky to push against the Cowboys. The Seahawks were shutout. 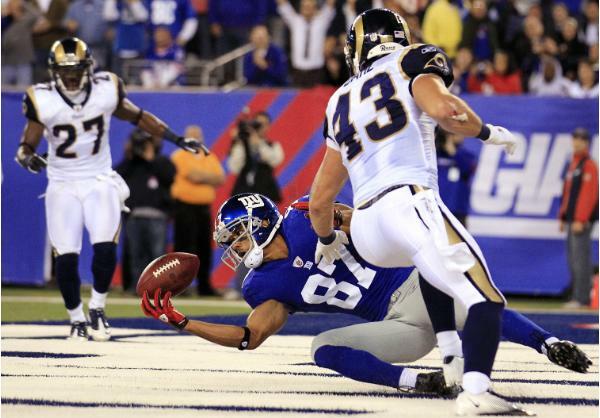 The Rams offense couldn't get it done and they lost 28-16 to New York. The Rams are still suffering from injuries at multiple positions and RB Steven Jackson is unlikely to play in week 3. While Baltimore may have shocked everyone with a bad loss to Tennessee last week, I think they're a good bet to rebound against the 18th ranked offense and 20th ranked defense through two weeks. The Ravens are good enough to have a chance at covering this even if they do struggle again this week. Baltimore keyed on stopping Chris Johnson last week and the secondary gave up 350+ yards passing. The Rams are lacking any real playmakers on offense right now, though, so I fully expect the Ravens defense to keep the score low. On the offensive side, either Flacco, Ray Rice, or both will have enough success to get the Ravens into the endzone a few times. Should be another easy one. Fumbles aside, Tolbert and Mathews are going strong. If you ever wanted to see a definition of the phrase "decimated by injuries," here's your chance. The Chiefs have suffered devastating injuries over the past few weeks, losing key players Tony Moeaki (TE), Eric Berry (S), and Jamaal Charles (RB) for the entire season. 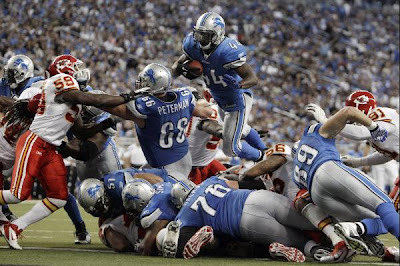 Detroit completely annihilated the Chiefs last week, winning 48-3. The Chiefs stunned the Chargers last year, beat them outright in the opener, but this year's injury-depleted team doesn't have much of a chance. 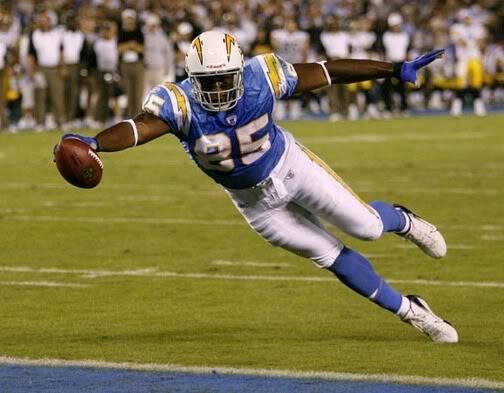 San Diego may have lost last week, but it was in large part due to critical turnovers. If you can look past those turnovers, the offense actually had a solid day and the defense managed to stop Brady enough times to stay in the game going into the 4th quarter. Just like Baltimore, San Diego has a nice rebound opportunity here. The Chiefs have been outscored 89-10 in their first two games. That's a good enough trend to keep betting on. This line is moving early after opening at 2.5. The Bengals may be 2-0 ATS right now, but they don't deserve to be favored. Denver was aggressively stopping the run and forced Dalton to throw. He responded with 332 yards, 2 TDs, and 2 INTs. It wasn't enough to overcome the Broncos though, with the Bengals going down 24-22. The Niners bring a tougher defense to the table, currently leading the NFL in rushing yards allowed, surrendering only 109 yards on an average of 2.5 YPC. The Bengals are going to struggle to run the ball effectively and that will make it harder on the passing game. Throw in the fact that Jerome Simpson is very unlikely to be available after having 8.5 pounds of marijuana delivered to his home (the Bengals never cease to impress) and things are looking pretty bleak for the offense. San Francisco may be struggling to run the ball and somehow still have Alex Smith at QB, but they showed something last week taking Dallas to OT. The defense is good enough to win games. This one is very winnable. I'm always a little leery of lines that immediately jump out at me as odd, but I can't figure this one out. The Bucs needed a 4th quarter rally to get past Minnesota. It's great that they did, but that doesn't change the fact that they were downright terrible for 3+ quarters. The Falcons may have needed to knock Vick out of the game to get the win last week, but the offense looked good racking up 35 points. The defense struggled, but Josh Freeman isn't Michael Vick and LaGarette Blount isn't LeSean McCoy. It was a huge win for the Falcons and they'll keep it rolling this week. If you thought Atlanta was going to win the division before the season started, trust yourself here. 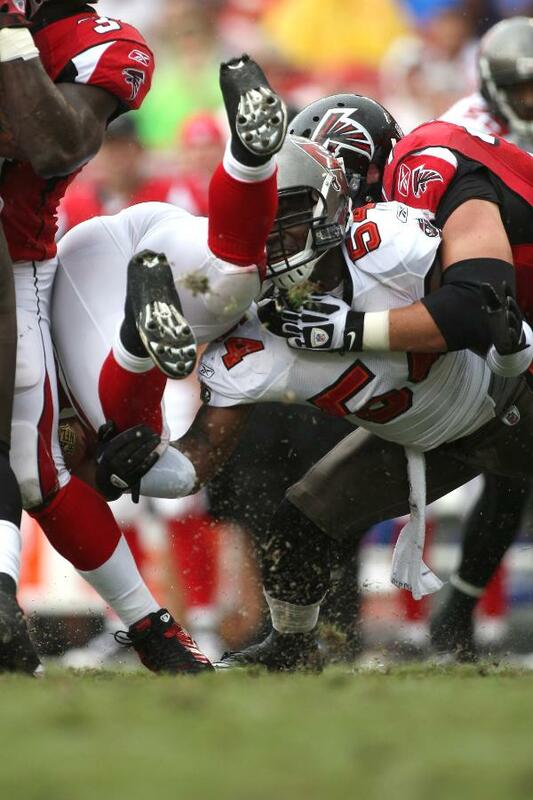 The Falcons are much more talented than Tampa Bay, and it will show in this game. 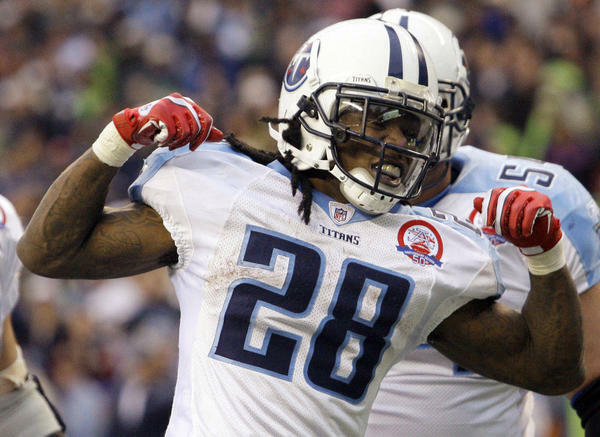 It should be a big day for CJ and the Titans come Sunday. I felt the need to pick another home team here this week and I think the Titans are set to cover this one. After a slow start against the Jags, they completely surprised the Ravens last week, winning 26-13. Though Chris Johnson was held to 54 yards, the passing game came to life and Hasselbeck threw for 352 yards. The defense was solid all around, holding the Ravens to 45 yards on the ground and 197 yards through the air. Moreover, the Broncos defense has given up a whopping 131 yards per game over the first two, so this is looking like it'll be Chris Johnson's first big performance of the year. Don't sleep on the Titans. Hasselbeck needs to prove he can still be consistent, but the QB situation is much better than last year. The defense is a good one, and Britt and Johnson are two great offensive threats. I don't think last week's win over Baltimore was a fluke. Tight end Antonio Gates will not play for the San Diego Chargers this Sunday when they host the winless Kansas City Chiefs. ProFootballTalk.com, citing a source, says Gates, who is listed as questionable on the injury report, has not practiced all week with a foot injury. 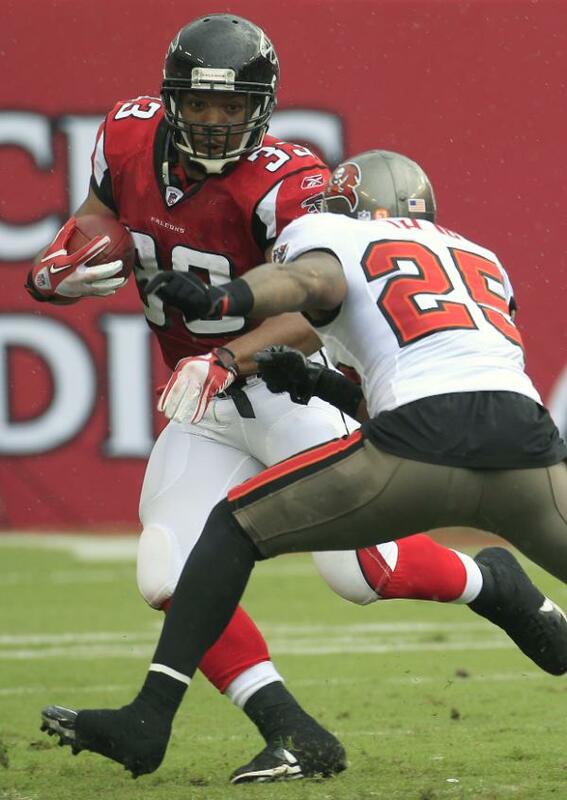 Gates missed six games in 2010 due to injury. As a general rule around the NFL, players who do not practice all week are usually a no-go on Sundays, although Gates has certainly earned enough clout that if he were healthy, he could play without practice. 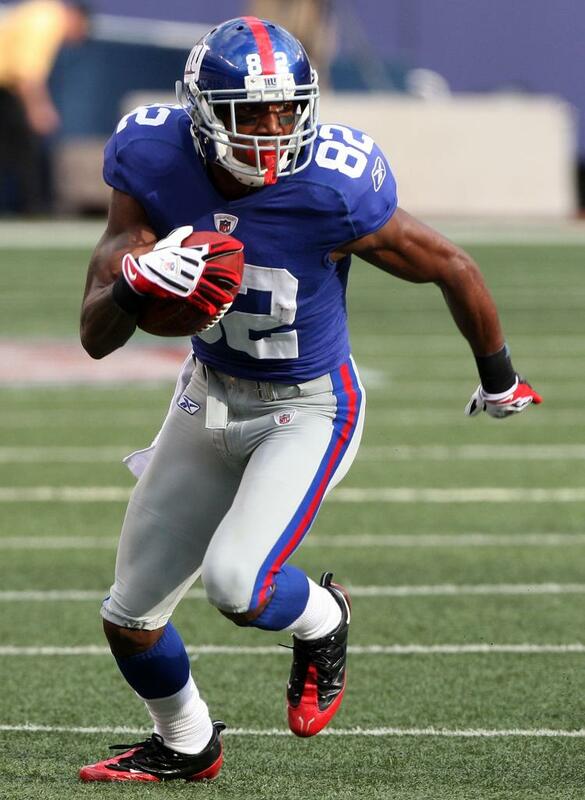 New York Giants receiver Mario Manningham will miss Sunday’s game against the Philadelphia Eagles because of a concussion. The Giants announced Saturday that Manningham did not make the trip down the New Jersey Turnpike to Philadelphia and his status was downgraded from doubtful to out. 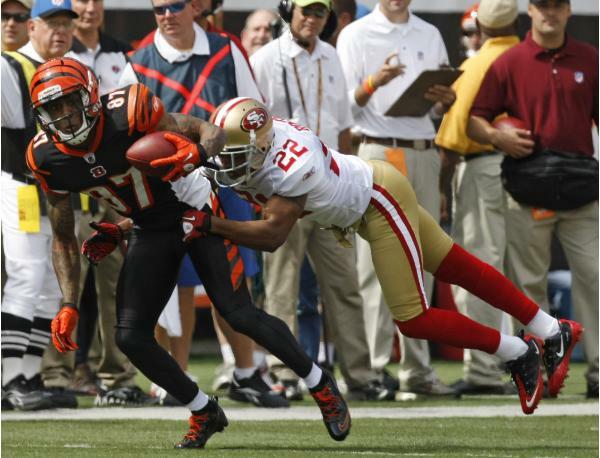 Manningham was hurt in Monday night’s game against St. Louis. He did not practice all week. Tight end Kevin Boss sure has picked the perfect game to make his regular season debut with the Oakland Raiders after sitting out the past two weeks with a knee sprain. With a rare sold-out crowd for the team’s home opener—just the second in the last 16 games at the Coliseum—and a national television audience, Boss expects the atmosphere to equal anything he experienced while playing with the New York Giants. That it comes against the unbeaten Jets, a team many expect to contend for the AFC title, only makes it better. Boss, the Raiders’ most significant offseason acquisition, completed a full week of practice for the first time since being injured in a preseason game against San Francisco on Aug. 20. He was cleared by the team’s medical staff and is listed as probable on Oakland’s injury report. How much of a factor Boss can be is uncertain—though it’s clear the Raiders need him to get up to speed quickly. They’re already without wide receivers Louis Murphy (groin) and Jacoby Ford (hamstring), both of whom have been declared out. Rookie Denarius Moore provided a lift for the passing game with a breakout performance last week in Buffalo and will likely be a focal point for the Jets. Tight ends accounted for more than 25.8 percent of the completions thrown by Oakland quarterbacks in 2010, including a team-leading 60 receptions by Zach Miller. 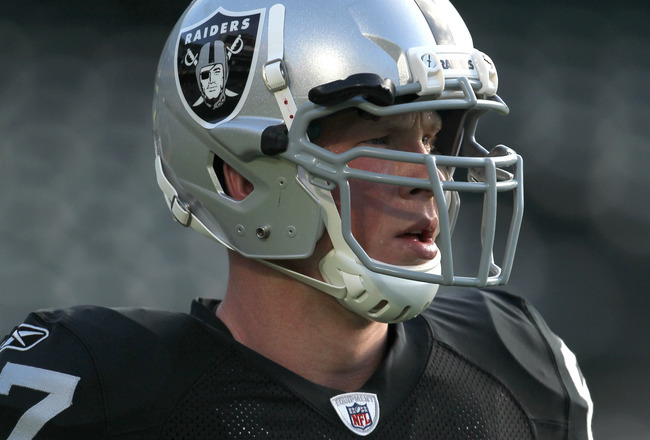 Miller signed with Seattle as a free agent in the offseason, opening the door for Boss to sign with the Raiders. This season, quarterback Jason Campbell has completed only four throws to his tight ends—all of them to Brandon Myers. Boss, who has 18 career touchdowns in four seasons, doesn’t think that will be an issue. Although the Raiders offense is different from the one Boss was accustomed to in New York, he stayed busy while recovering from his knee injury by watching hours of videotape from practice and the first two games. Notes: Coach Hue Jackson again declined to say who will return punts for the Raiders while Ford is out, but it appears the job will be Moore’s. He and WR Nick Miller split time with the return unit in practice Friday. … Rookie CB DeMarcus Van Dyke (knee) is questionable after being limited in practice. … The foot injury that landed PK Sebastian Janikowski on the injury report earlier in the week seems to have cleared up. With a huge pool of players to choose from, finding the right players to start at your IDP positions can sometimes feel like finding a needle in a haystack. With some leagues requiring defensive players from anywhere on the field to requiring players at different positions (defensive linemen, linebackers, defensive backs, cornerbacks, defensive ends, etc. ), finding players in deeper leagues to fill these spots may sometimes feature lesser known names. A fifth-round selection in the 2010 NFL draft, Jones has started the first two games of the season for the injured Chris Clemons. With the Dolphins looking to put their best defense on the field, Jones's playing time may be cut short due to Clemons's return. Like Jones, Woodyard has been getting the majority of playing time at outside linebacker due to a dislocated elbow by D.J. Williams. With Williams set to come back either Week 3 or 4, Woodyard has played exceptionally well and will still get good backup time, however, not enough to warrant a consistent IDP starting spot. After a Week 1 season-ending injury to Eric Berry, McGraw got the call to take his starting spot. With 18 tackles and an interception on the year, McGraw could possibly double his career best in tackles (46) before the season is over. With the Rams' best cornerback, Ron Bartell, out for the season because of two fractures in a bone in his neck, King will receive the majority of Bartell's playing time. With lights-out speed and the fourth-most total tackles (16) out of all cornerbacks, King should continue to collect tackles all season long. The Redskins' first-round pick this year out of Purdue, Kerrigan already owns one sack, one interception, and one defensive touchdown so far in his young career. A big man playing alongside familiar faces in London Fletcher, Brian Orakpo, DeAngelo Hall, and LaRon Landry, Kerrigan won't be pressured into being a huge playmaker, meaning he'll probably end the season with below average numbers for a starting IDP linebacker. Another rookie from this year's draft, Foster is a third-round pick out of Washington who is best known as the player fined $20,000 for a hit on Chad Ochocinco, only to have Ochocinco offer to pay the fine on his behalf. Despite his rough hit on the New England Patriots wide receiver, Foster is a promising linebacker who reacts well to action and looks to be an IDP in the rough for fantasy owners. In his second season with the Buccaneers, Jones has been an unnoticed but above average contributor since entering the NFL in 2004. After a quick start racking up stats this season, look for Jones to come close to his second-best statistical season in the NFL this year (96 total tackles and five interceptions). One of four players on this list from the 2010 draft crop, Angerer is a versatile linebacker who will shuffle between the strong-side and middle linebacker this season. Already with 21 total tackles on the year and the third highest total among linebackers, Angerer is a sure-handed tackler who will rack up tons of tackles over the season regardless of the position he plays. After missing most of the 2010 season with a torn ACL, the former third-round pick has started the season strong with 20 tackles and one interception. With free safety Nick Collins now on injured reserve, look for Burnett to continue his great production and definitely pass the 100 tackle mark by the end of the year. Starting in favor of veteran Keith Brooking, Lee has looked incredibly impressive. With great instincts and playing on an aggressive Rob Ryan-run defense, it's no surprise that Lee is currently leading the NFL in total tackles with 23 on the year. Report: Patriots SS Chung out for Sunday Patriots SS Patrick Chung will miss Sunday's game against the Bills, according to PFW Patriots correspondent and Boston Herald writer Ian Rapoport. Chung reportedly underwent surgery this week on his thumb and he did not practice on Thursday. The third-year player has 14 tackles, one sack and one pass defensed in two games this season. This is not a good development for a Patriots defense that has been far from stout this season. Chung is the leader of the safety group, that includes second-year player Sergio Brown and Josh Barrett, who is playing his first season with the Pats. Chung is good against the run and a playmaker, and the Bills can take advantage with Chung not on the field. President Barack Obama is showing some love for his hometown Chicago Bears. A White House official says the president is inviting members of the Bears 1985 Super Bowl championship team to the White House on Oct. 7. Super Bowl champions are traditionally honored with a visit to the White House. But plans for the 1985 Bears to come to Washington were scrapped when the space shuttle Challenger exploded just days after their victory in January 1986. 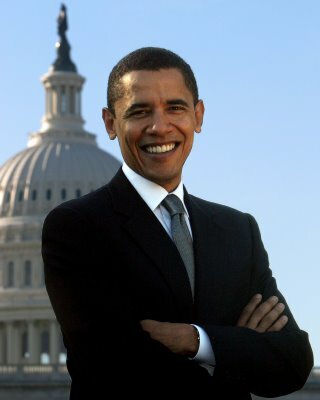 Obama is an ardent fan of his hometown team. He somewhat begrudgingly hosted the Bears’ rival, the Green Bay Packers, at the White House this year after their Super Bowl win. The official spoke on the condition of anonymity because the event has not officially been announced. For so many years, those words have been a comfort to the Minnesota Vikings and their fans, a sure sign of victory no matter how well or poorly they were playing at that moment. 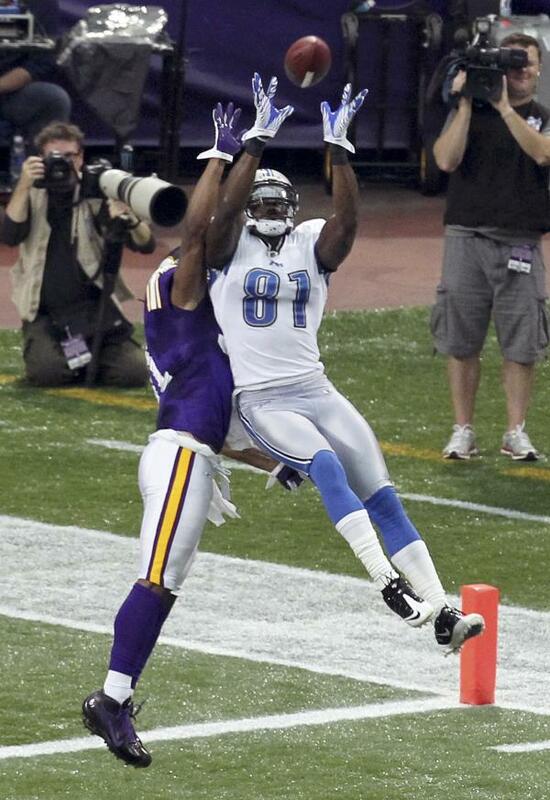 The poor Lions have left the Metrodome with a loss 13 straight times. They haven’t won under the big, white roof since 1997. The losses have come in all shapes and sizes, from a 42-10 wipeout in 2007 to a 12-10 heartbreaker the following season. This time around, something feels different. The Lions are coming off two straight decisive victories, the Vikings are reeling a bit after giving away halftime leads in the first two weeks, and Detroit is favored in Minnesota for the first time since 1981. “Any time you play a team that is coming in with a lot of confidence, you want to be the team to bring them down a bit,” Donovan McNabb said. That’s a Viking. Talking about trying to knock a Lion’s confidence down. My, how things have changed. 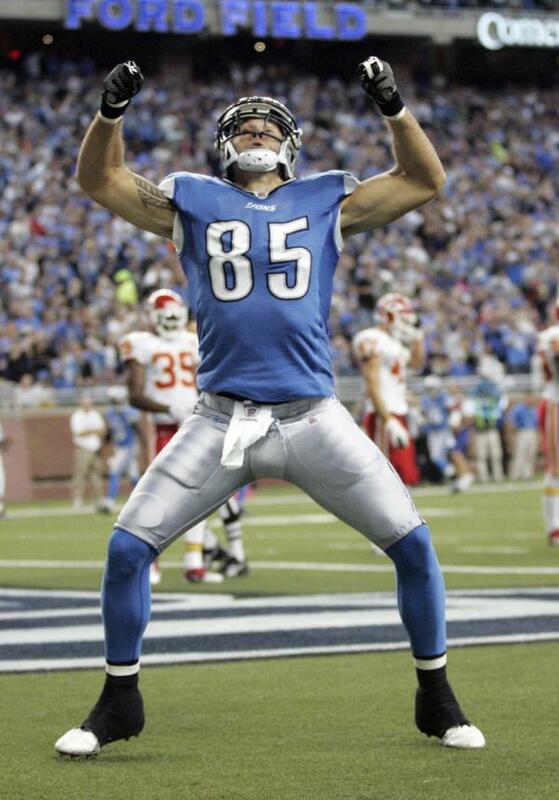 The Lions won at Tampa Bay to open the season, then pounded Kansas City 48-3 in the most lopsided regular season victory in franchise history. The Lions have actually won 10 games in a row, including a four-game winning streak at the end of last season and four wins this preseason. Preseason doesn’t count in the record books, of course, but when a team has lost as many games as the Lions have, any victory is welcomed with open arms. “I think we’ve continued to have that confidence and that swagger since last year,” Suh said. “We’re just carrying it over. It’s not necessarily that it’s just coming into effect now that we have a 2-0 start. I think it’s been there. A victory Sunday would be the biggest indicator yet that it truly is a new day in Detroit and not just another hopeful start destined to swirl down the drain. 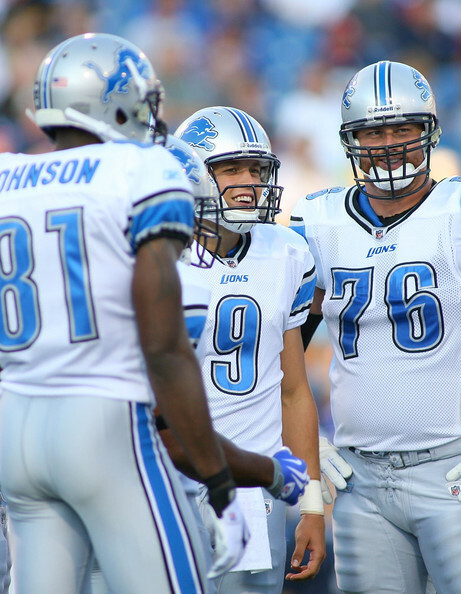 The Lions have four victories in the Dome since Suh was born in 1987. The last time they won—Scott Mitchell was the quarterback and Barry Sanders was finishing off a 2,000-yard season. “We’ve had some good players here in the past, but what we’ve managed to do is we’ve put good players around them,” third-year coach Jim Schwartz said. With Suh, Schwartz, quarterback Matthew Stafford and receiver Calvin Johnson, the Lions have leaned heavily on continuity to get through the abnormal offseason that kept coaches and players from communicating all summer long. The Vikings aren’t quite as familiar with each other, and it’s showed. Leslie Frazier is in his first season as the permanent coach and they have a new offensive coordinator (Bill Musgrave), quarterback (McNabb) and left tackle (Charlie Johnson). The result has been an uneven performance, especially on offense, where they have let good starts in both games fizzle. Last week they racked up 284 yards and 17 points in the first half, only to sputter and stall throughout the second half as Josh Freeman rallied them to the win. The Vikings are getting Kevin Williams back from a two-game suspension this week and the big defensive tackle is eager to pull his team out of the rough start. He watched them give away a 17-10 halftime lead in the opener at San Diego and a 17-0 lead to the Bucs at home last week. Several team leaders, including McNabb, guard Steve Hutchinson and defensive end Jared Allen, addressed the team earlier this week in hopes of settling things down and keeping them focused. “I’ve been a part of teams that have been 0-2, 1-2, but the team still got close enough where everyone had that confidence that the next game we were going to win,” McNabb said. “You win one, you feel like you’re going to win the next. Then you get on a winning streak and all of a sudden the confidence level is at a high where you feel like every time you step out on the field you’re going to win the game. 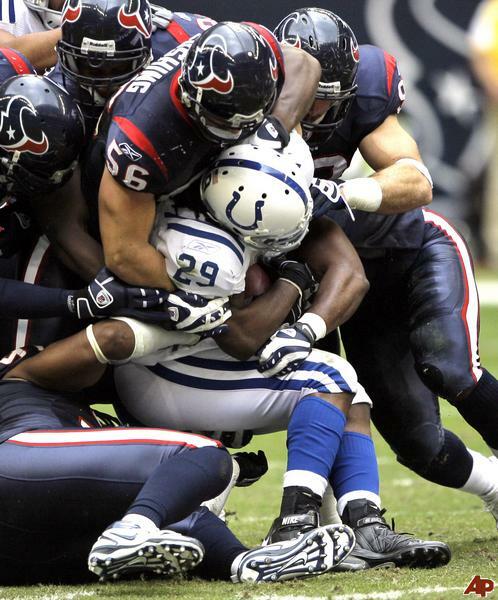 Relaxed and healthy, Houston Texans linebacker Brian Cushing is showing glimpses of the form that earned him the Defensive Rookie of the Year award in 2009. His surgically repaired right knee is fully healed, and more significantly, Cushing hasn’t been hounded by constant questions about performance-enhancing substances that dogged him after he was suspended for the first four games of last season. Cushing leads Houston (2-0) with 17 tackles heading into Sunday’s game at New Orleans (1-1). New defensive coordinator Wade Phillips is not only impressed by how quickly Cushing has picked up the 3-4 alignment, but also with the intensity Cushing seems to bring to every practice and game. This time last year, Cushing was serving a four-game suspension for testing positive for HCG, a drug on the league’s list of banned substance. He said that he never took the drug, which can be used to restart testosterone production after a steroid cycle. Nonetheless, the positive test raised doubts about the legitimacy of his rookie season when he had 133 tackles, four sacks and four interceptions. Cushing retained his rookie award after a revote, but the NFL denied the Texans’ appeal for his suspension to be reduced or rescinded. Cushing acknowledges that the ordeal turned into a draining distraction. 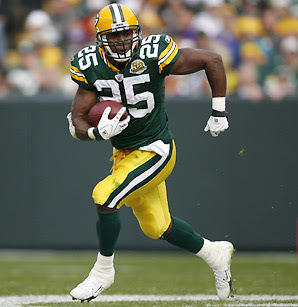 He started the last 12 games of 2010, and moved to the demanding position of middle linebacker when DeMeco Ryans tore his left Achilles tendon and was lost for the season. Cushing finished with 76 tackles, four deflected passes and a forced fumble, and acknowledged that the lingering questions and increasing pain in his knee affected his play. Now, Cushing feels like the better he performs, the more he will silence skeptics who point to last year and chalk up his rookie season to steroid use. “Week after week, people will kind of back off that issue. Some people already have,” Cushing said. “I’m having patience this whole time. I can’t lash out or say anything or do things that I don’t want against people who don’t believe in me. But that’s fine. Defensive end Antonio Smith said Cushing seemed more withdrawn last season in the wake of his suspension. This season, Smith said, Cushing seems more like his old self, more energized on the field and off it. Cushing said his performance in the first two games is a product of nothing more than peace of mind and a healthy knee. Notes: The Texans place backup tackle Rashad Butler on injured reserve with an elbow sprain. Andrew Gardner was moved up from the practice squad to replace him. … RB Arian Foster took snaps, but was limited in Thursday’s practice as he continues to recover from a left hamstring strain. Coach Gary Kubiak said Foster remains “day to day.” RB Derrick Ward will not play in New Orleans because of a sprained right ankle. … WR Jacoby Jones worked individually on Thursday after bruising his left knee in Sunday’s win at Miami. Kubiak said Jones will be re-evaluated on Friday. Eagles quarterback Michael Vick practiced for a second consecutive day Friday and pronounced himself ready to play against the Giants (1-1) in the Eagles’ home opener Sunday, seven days after he left a game against the Falcons with a concussion. Eagles coach Andy Reid said that barring a setback, Vick will start against the team that has lost to Philadelphia six straight times. Michael Vick agreed to a six-year deal to stick with the Eagles. Vick suffered a concussion Sunday night in Atlanta during the third quarter of the Eagles’ 35-31 loss to the Falcons and didn’t return to the game. He was replaced by second-year pro Mike Kafka. After missing practice on Wednesday, Vick was cleared Thursday morning by an independent, NFL-appointed neurosurgeon to resume all football-related activities, under terms of the NFL’s 2009 concussion policy. Officially, the Eagles (1-1) list Vick as questionable for the home opener Sunday at Lincoln Financial Field. Eagles trainer Rick Burkholder said Vick has not experienced any concussion-related symptoms since Sunday night or Monday morning, immediately after the primetime game at the Georgia Dome. He said Vick is not scheduled to undergo any additional tests or medical evaluations but will likely meet with team physician Dr. Gary Dorshimer Sunday before kickoff at Lincoln Financial Field just as a precaution. Reid said Vick has been fine in meetings and practice and shown no ill effects of the concussion. Burkholder said he and the coaching staff will continue to keep a very close eye on Vick over the next two days, to make sure he doesn’t experience any setbacks or begin to show any symptoms of the injury. “He’s practiced twice, he’s lifted with our strength coach, he’s done rehabilitation with me, he’s been in meetings with the offensive staff,” Burkholder said. “Everything has gone as planned. By all accounts, Vick was typically sharp at practice the last two days, showing no signs of the fairly serious injury he suffered just a few days ago. Vick said despite his injury—and a rib injury last year against the Redskins that cost him 31/2 games—he won’t play football any differently than he always has. That means if he wants to run, he’ll run. 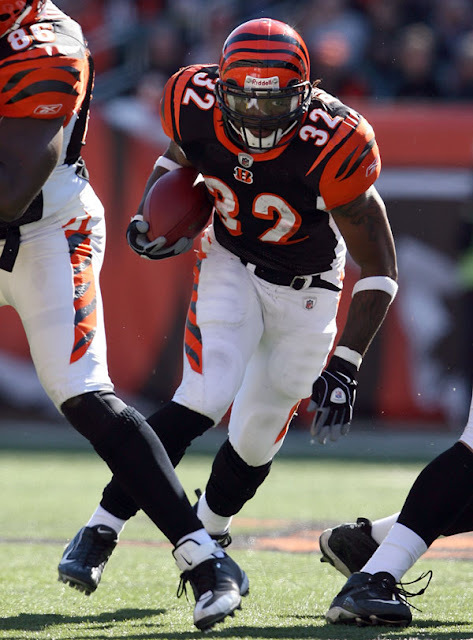 Report: Benson facing three-game suspension Bengals RB Cedric Benson is facing a three-game suspension for violating the NFL's personal conduct policy, Michael Silver of Yahoo! Sports reported on Thursday. 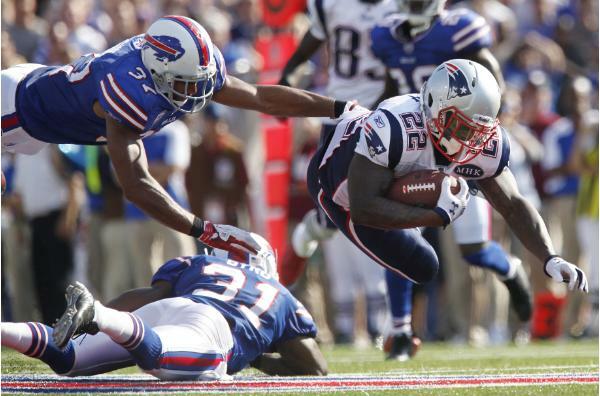 The running back plans to appeal the ruling next week to NFL commissioner Roger Goodell. If the appeal fails, Benson will be suspended starting in Week Four. Benson was arrested in July after getting into a fight in Austin, Texas. He was charged with felony assault and served three days in jail during training camp. If he is forced to miss games, it is expected that Bernard Scott will see most of the carries for the Bengals. 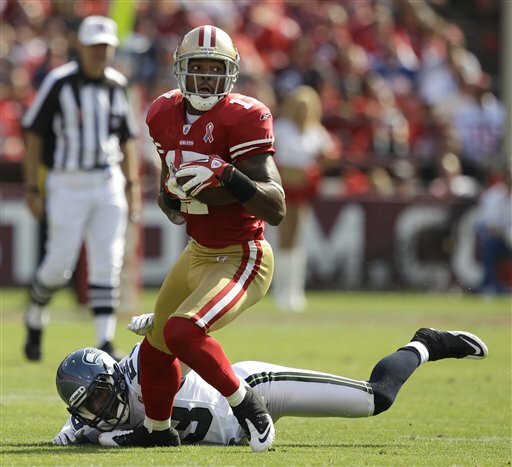 The San Francisco 49ers have not received much in the way of production from their wide receivers, so it was particularly bad news when they learned Braylon Edwards will be sidelined “for a little bit” after undergoing arthroscopic surgery on his right knee earlier this week. That’s the extra loose timetable 49ers coach Jim Harbaugh put on Edwards, who suffered a torn meniscus, according to CSN Bay Area. Speculation is “a little bit” could be a month. Edwards was injured in Sunday’s overtime loss to the Dallas Cowboys and he becomes the second receiver on the team to undergo surgery. Michael Crabtree is still working his way back from a fractured foot. He is expected to play this week. He couldn’t finish the season opener, but he practiced on Wednesday.